Madeline has to create a recycle project for school. She needed to take something that you might normally throw away and make a new use for it. She wanted to use her chickens. So we started to save the Henny Penny's beautiful eggshell. Last week, Madeline took the shells outside and filled them with top soil. While she did this, ALL of the Henny Penny's were EXTREMELY interested in what was going on. It was hilarious! I ran in to grab my camera. Just look at all those fuzzy fluffy butts!! 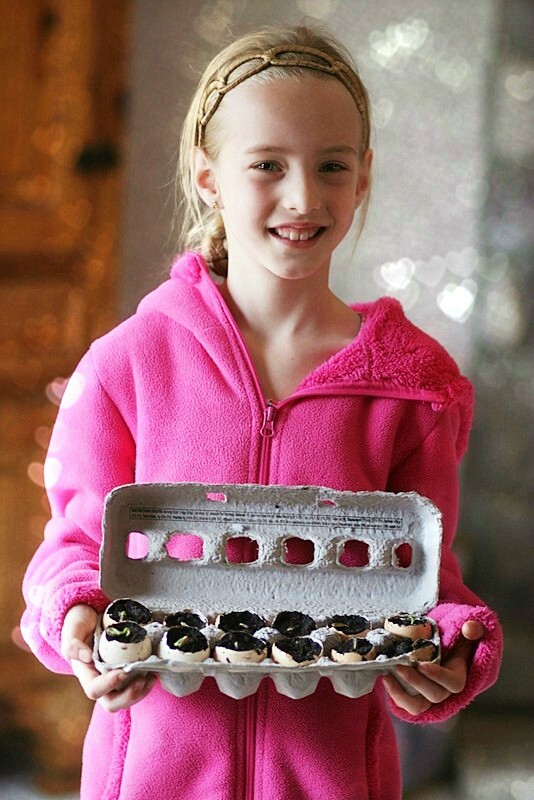 We had already sprouted some sunflower seeds, so Madeline planted them in the eggs shells. When it's time to plant them outside, she will just knock the shells on the ground to crackle them. The dirt filled eggs get planted directly into the ground, and the roots of the sunflowers will use the shells for added nutrients! 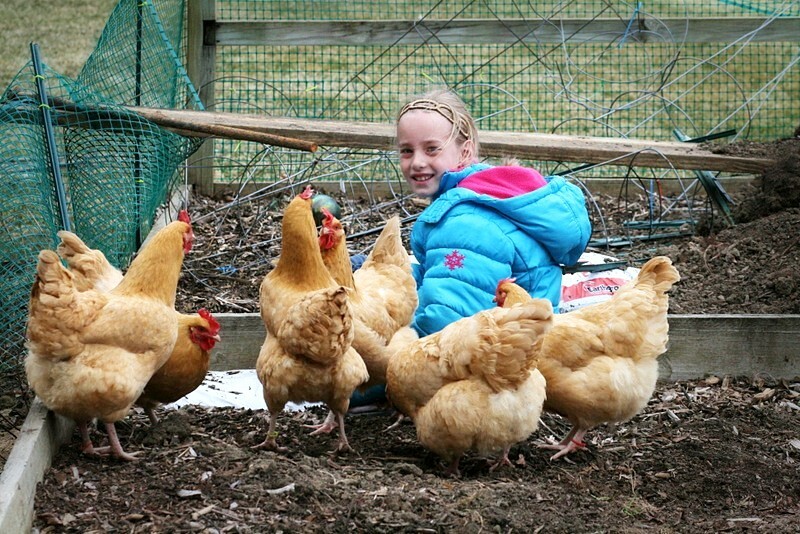 A good idea implementing her pet chickens! Great project! There's lots of GREAT nutrients in those egg shells for plant. I've seen where people save shells, dry and crush them, then add to their gardens. *I* do the same, but I feed them back to the chickens and ducks for a "natural" source of calcium supplements instead of oyster shells (which they don't seem to like). Chickens are pretty "green" animals to have! Madeline says: "Thanks Mrs. Gaffen"
Madeline your a genius!!! I love this idea (can I copy you?) I give you an A+++. Please remember to post pictures later this summer so we can all see how the sunflowers are doing. Are the sunflower seeds for you to eat or the Henny Penny's? Madeline says: "Yes Mrs. Murdock. You can copy me. We are going to feed them to our Henny Penny's." Sustainable gardening. I love it Madeline. Good thinking. I can't wait to see those happy sunflowers growing this summer. Here in Texas where we live, sunflowers are very small. Here is a picture of what they look like. http://www.southernpost.net/wp-content/uploads/2010/11/IMG_1531.jpg. I love you sweetie! Madeline says: "Those ARE really little!" Mommy Says: "I only hope it's warm enough to plant when they're ready!" Madeline says: "I hope so." That's a great idea. I love it.